We learnt the hard way this week about the importance of doing your homework and the realities of assuming. 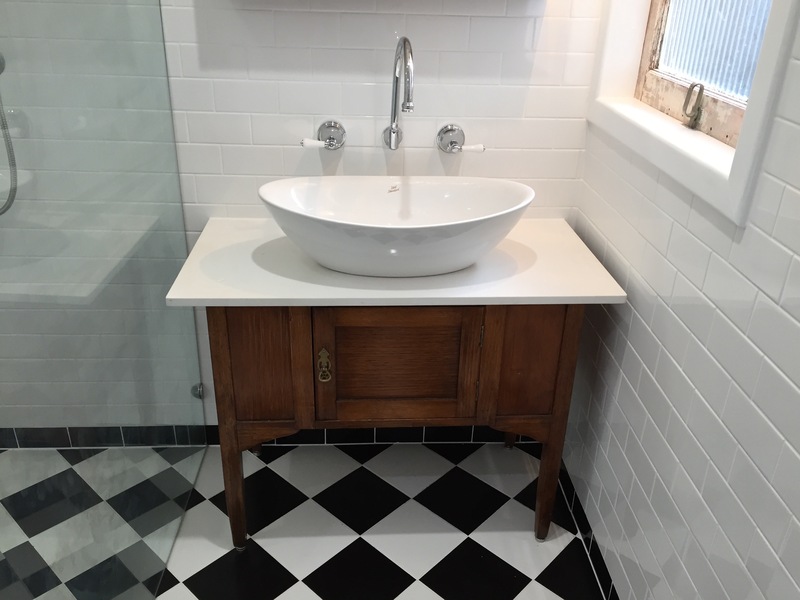 In upcycling my 1900’s washstand that I picked up from gumtree, I decided that I would replace the worn marble top with a beautiful ceaserstone one to compliment our oversized, on counter, vessel basin. Given its tiny size, I was able to source a small piece of stone which was an off cut from a larger job for next to nothing. The new top, coupled with a fresh coat of varnish has meant the washstand has a new lease on life and will be a beautiful feature in our newly renovated bathroom. 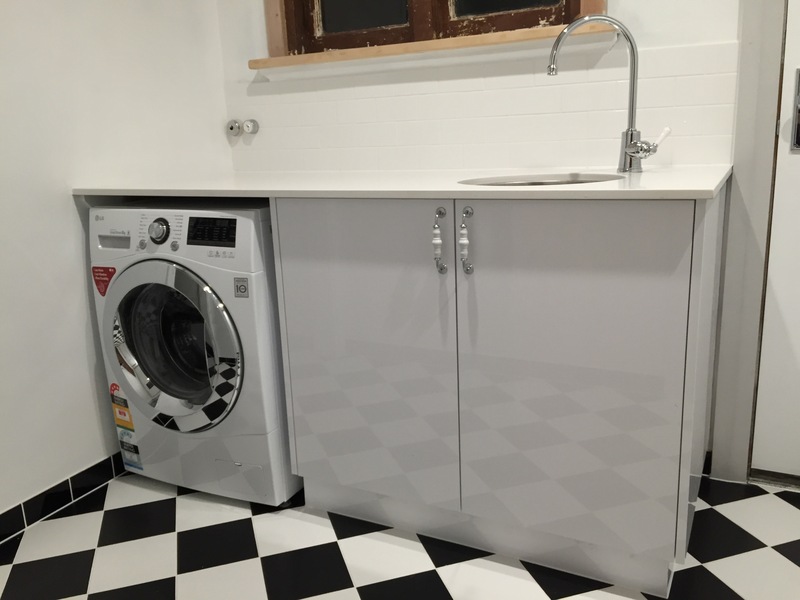 Therefore, when we decided on the cupboards in the laundry it was only natural to assume that we’d pick a lovely matching ceaserstone top in this space to tie our bathroom and laundry together. 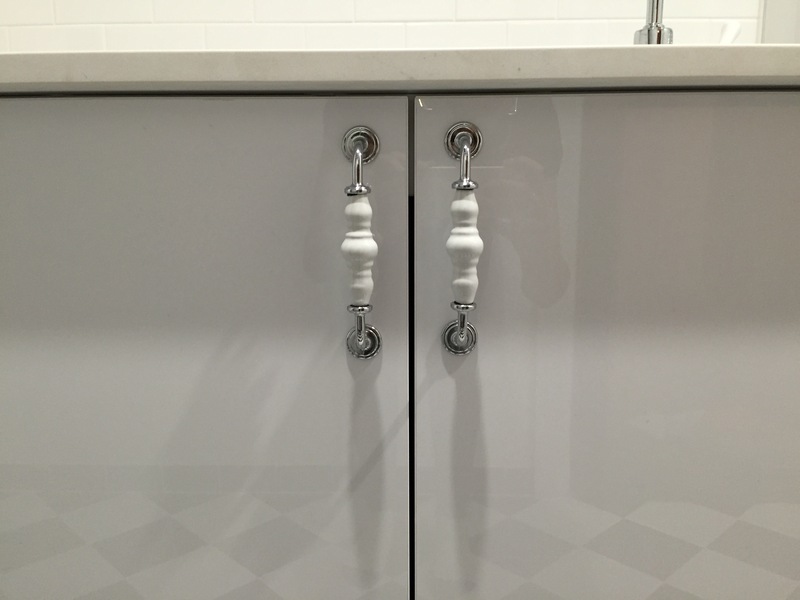 With simple gloss white doors and handmade ceramic and chrome door handles, this cabinet was bound to be perfect. Without any consideration for price, given that the cabinet itself was two doors and a washing machine hole, we sent the cabinet maker on his merry way to create and install. 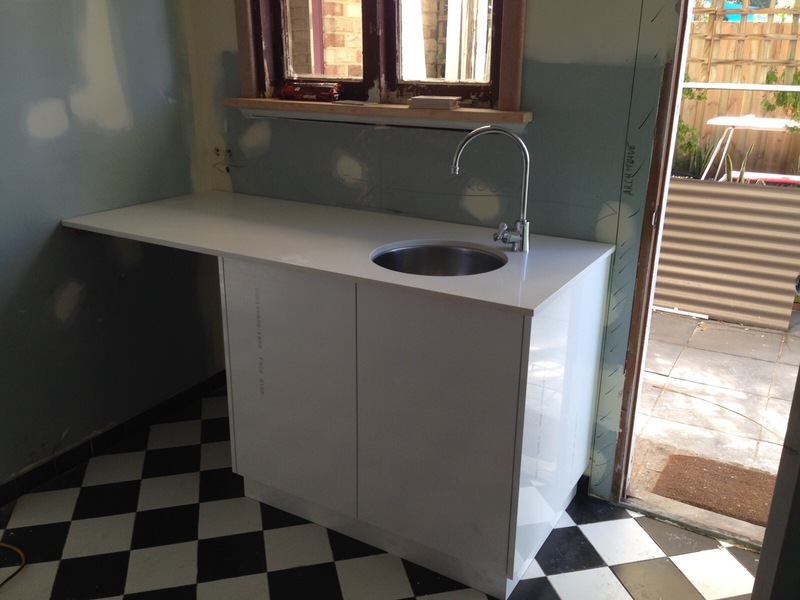 Now, for anyone who has built or renovated before you might not have been as naive as we were to choose a ceaserstone top in a laundry. I mean, there’s no need really for stone in your laundry and in most laundrys someone sensible might use a laminex top or the like. Well, there’s a reason that those who aren’t first time rookies don’t use stone. Unknowingly, the boy and I had purchased $1700 worth of stone to put on top of a cabinet worth about a quarter of that! Needless to say, I’m glad we decided not purchase expensive tiles after all and that we’ve been thrifty with all other purchases otherwise this really would have way extended our budget. There’s nothing else to say but that it was a rookie error. In future, we won’t just assume the price of something without having double checked it first! If nothing else, we have ended up with a stunning laundry cabinet which is spacious and functional. Though, perhaps in the next house we could do without the stone in the laundry! Man, your washstand is beautiful, bathroom looking worthy of professional interior designers I would say, well done you pair!